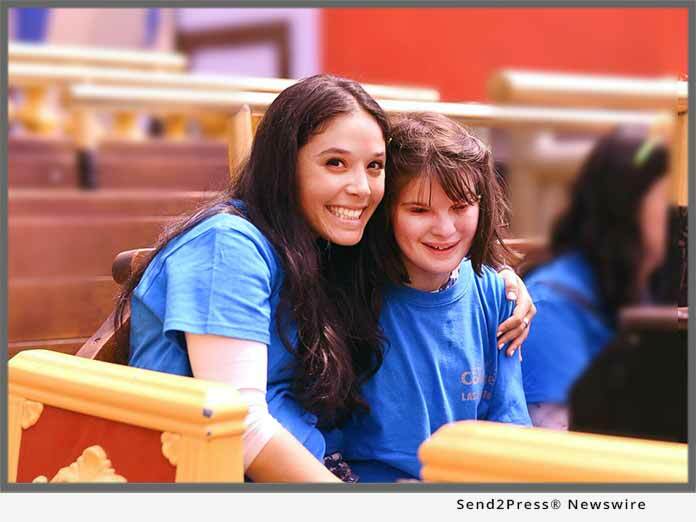 LAS VEGAS, Nev., Aug 06, 2018 (SEND2PRESS NEWSWIRE) — Kids of Courage, a medically-supervised travel program for seriously sick children and young adults, is currently in Las Vegas for their annual summer adventure. The unique non-for-profit program provides adaptive activities and events for individuals with life-threatening illnesses and serious disabilities. The current group consists of 120 medically-fragile campers from all over North America, accompanied by volunteer physicians, nurses, paramedics, emergency medical technicians, and caretaker counselors. World-renowned illusionist David Copperfield, in partnership with the MGM Grand, is conducting a benefit performance, completely free of charge, for the visiting group on Tuesday, August 7, 2018 at 4 p.m. PDT at The David Copperfield Theater at MGM Grand Hotel and Casino. Mr. Copperfield has a long history of supporting organizations that improve the lives of children and young adults with disabilities. The ground-breaking performer founded Project Magic, an innovative program that uses magic as a form of therapy for people with physical, psychological, and social disabilities. Kids of Courage participants have a wide variety of serious illnesses and disabilities, including childhood cancers; muscular dystrophy; childhood strokes; pre- and post-heart, -liver, and -lung transplants; brain tumors; quadriplegia with ventilator dependence; spina bifida and cerebral palsy. Many of the so-called “Couragers” are struggling with life-threatening situations. Participation in the program gives them unique skill sets for independence and leaves their parents at home to recover from the daily stresses of their care. Kids of Courage, based in New York, is a true non-profit 501(c)(3). There is no charge to any participants or their families. Funds are used strictly for programming and caring for the children. The organization was created in 2008 when the co-founders saw a need for year-round trips and events, including adaptive programs such as skiing and water sports in weeklong travel adventures. Learn more at: https://www.kidsoc.org/.